Motion’s engineering staff is ready to tailor indexers with the right options to meet your specific application requirements through Complementary Components. 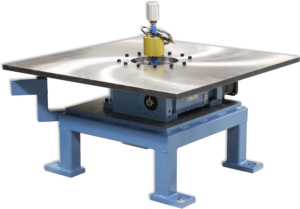 Our entire line of equipment, from our Rotary Tables to our Indexing Conveyors, can be customized to meet your needs or standard designs can be recommended for your application. Buying multiple components from one source reduces purchasing management and assembly time as well as saves in shipping costs. All of our components can be delivered complete with our index drives, to allow for a simpler installation. There is no limit to the variety of options available for your application, we are capable of supplying all the necessities to accompany your indexing device to ensure everything fits and runs properly. Our engineers bring experience and training to their knowledge of cam-driven indexers. We understand that innovation in manufacturing technology is invaluable in this era of rapid growth. In order to build the best product possible, you need indexers tailored specifically for your application. To learn more information about the benefits of using our complementary components, please view our catalog. To learn more about rotary index tables, you can visit our guide here.